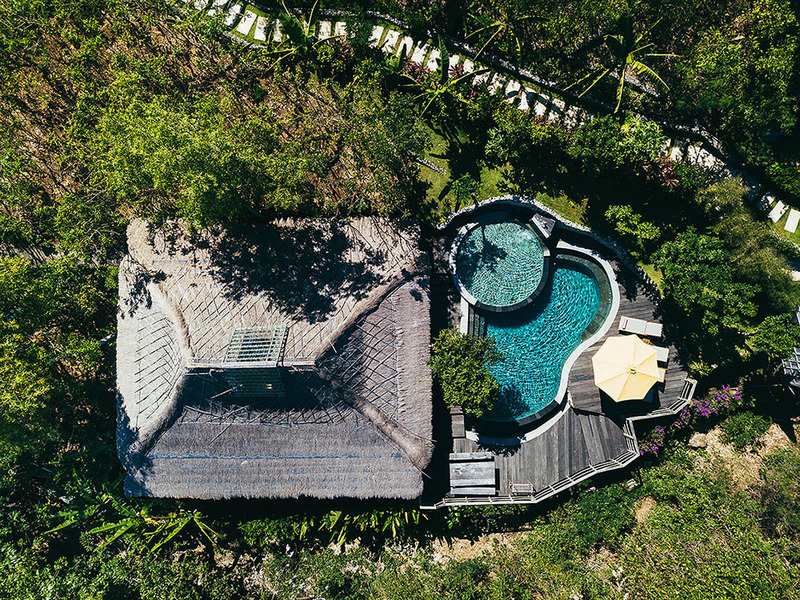 Bungalow - Located in a forested valley behind the yoga studio, this traditional Javanese teak “Limasan” is comprised of two levels, with two king size beds, 2 bathrooms, kitchen, living space, wrap-around deck, reclaimed iron wood floors, A/C and private pool. The Suite - This secluded, hardwood accommodation is set back in the jungle alongside the riverbed. The Upper Suite has a king bed with private bath and shower, A/C, extended wood deck and simple kitchen amenities (coffee press, fridge, drinking water). The Lower Suite has a king size bed with private bath and shower, AC, and sliding glass doors that extends onto a zen garden and sitting area. There is no tv or radio, as this suite is set up to enjoy the quietness and tranquility of the property. Loft - The Loft apartment is located directly below the Morning Light Yoga Studio. This secluded, reclaimed hardwood loft apartment is the perfect getaway for 1 or 2 people. It features a shaded upper deck, indoor and outdoor siting areas, fridge, AC, wifi. The obvious highlight here is the unique, breathtaking location. And the beautiful villas. And the private pools. And the service. And the food… ok, we could go on and on here. This place is pretty spectacular! This is a dream location for both surfers and yogis, with direct access to incredible waves for the surfers and daily yoga classes in a stunning yoga studio. 45 mins from the International Airport. 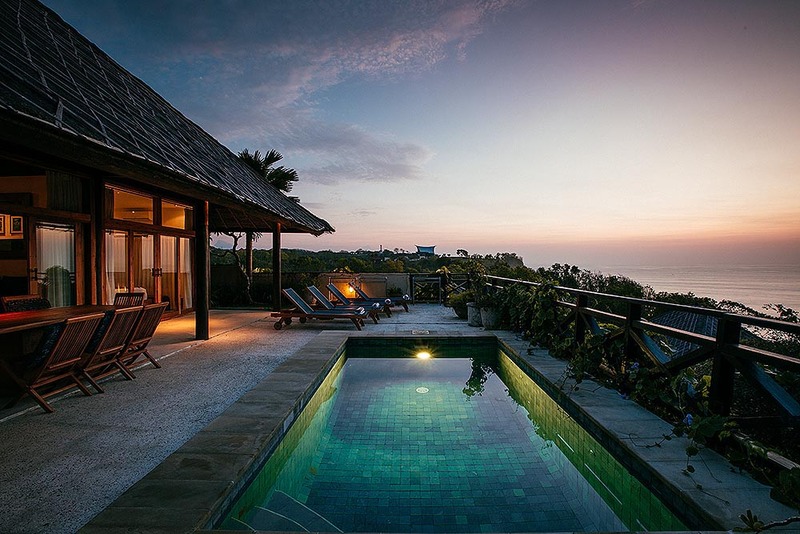 Uluwatu Surf Villas hosts and manages many events including weddings, film nights, fundraisers, birthdays, etc. Contact them for more info. The bukit has some incredible restaurants, beaches, beach bars and surf spots… but we found it pretty hard to leave this paradise! Visit their website and instagram for more information.